This is a busy time of year for growing all the summer vegetables for the allotment. As well as the usual tomatoes, runner beans and courgettes, we also grow cucumbers and pak choi in our coldframe. I think it’s fun to experiment and grow a few new vegetables each year, it enables you to gauge what works well or not. This year we’re trying squash, ‘Crown Prince’ pumpkins and a climbing bean called ‘Cobra’. 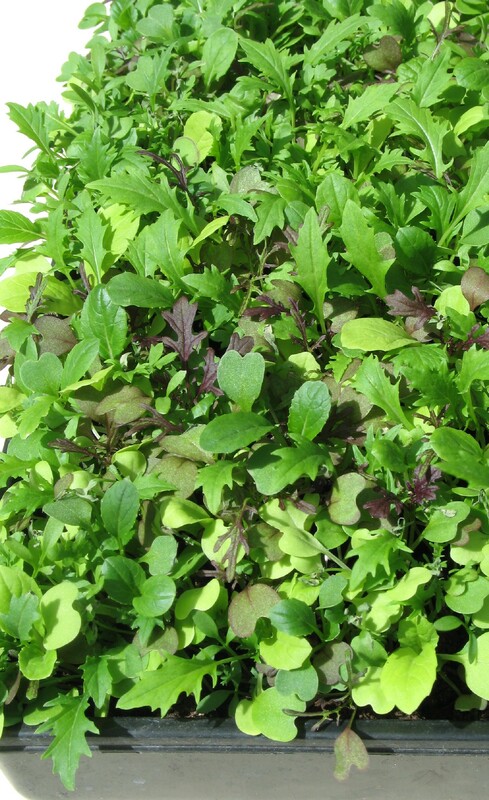 You don’t need an allotment to grow salad leaves. I sowed these Thompson & Morgan ‘Bright & Spicy’ seeds directly into a seed tray about 3 weeks ago. 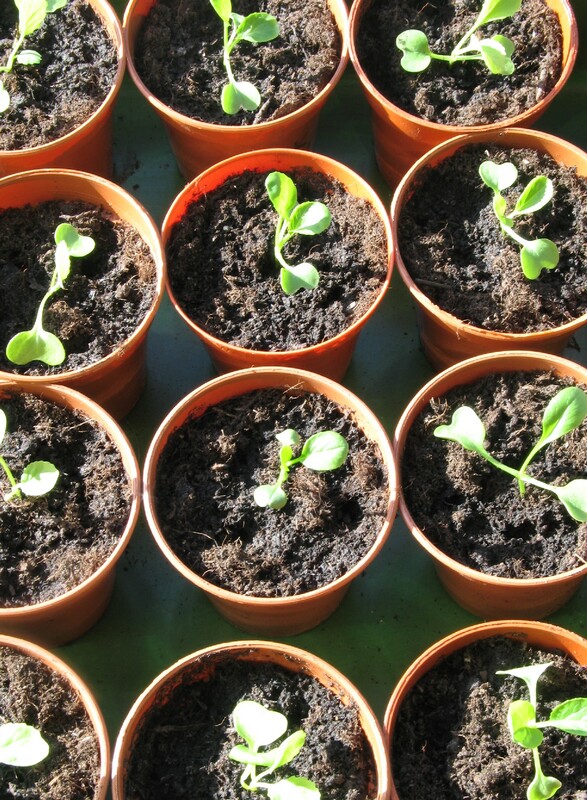 Alternatively, grow them on your kitchen windowsill or in a container on the patio. I also grow rocket and baby spinach leaves in this way – it’s a lot cheaper than the bags sold in the supermarket.